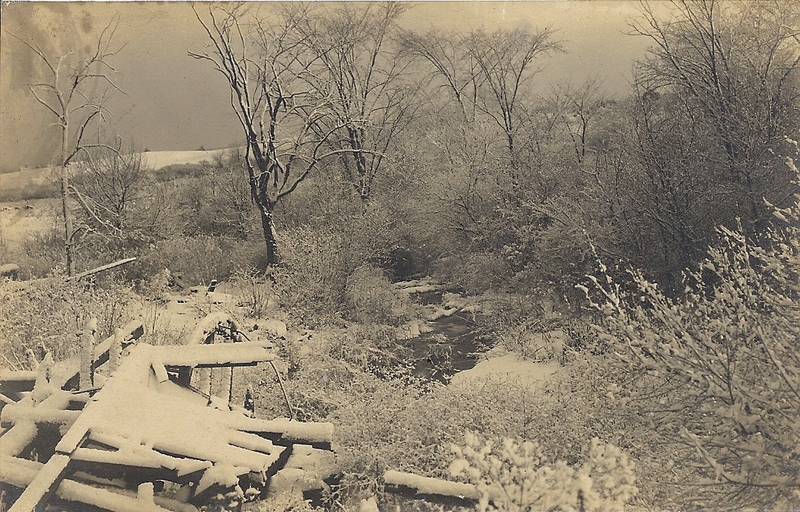 This photograph depicts the ruins of the shovel works at the Upper Factory, located along the Nemasket River at Wareham Street, and looks eastwards towards Barden Hill. By the time the photograph was taken at the turn of the last century by Fred F. Churbuck of Middleborough, the site had become much overgrown, and the river was barely discernible as a narrow ribbon of icy water running through the brush. A mid-winter dusting of snow, however, softened the image and undoubtedly prompted Churbuck to capture it for posterity.